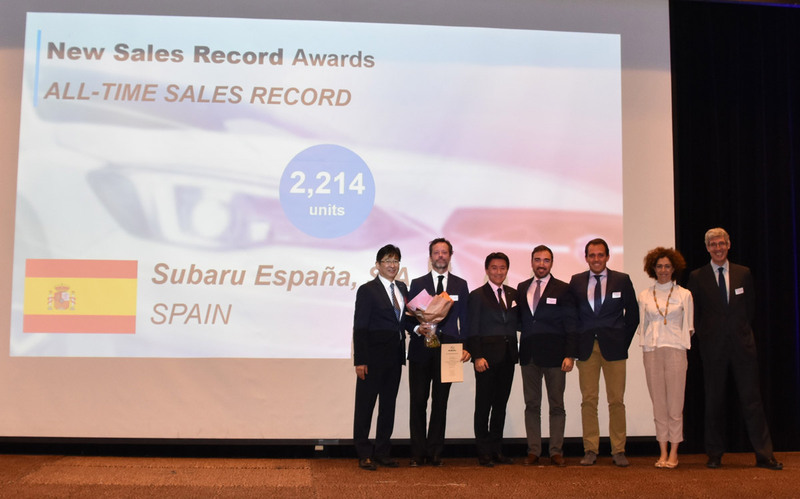 For the second consecutive year, Subaru España has been awarded for its extraordinary sales performance throughout fiscal year 2017, beating its own historical record reached the previous year. The delivery of this prize by Subaru Corporation, took place on September 25 in Belgium, coinciding with the European Distributors Convention 2018, which showed the great trajectory of the brand over its quarter of a century. commercial activity in the Spanish market. Subaru España, a brand distributed by Berge Auto, thanks all its team and its official network of dealers, the effort, enthusiasm and constant desire to excel shown year after year, elements all of them determining to obtain this important recognition.